My favourite base products are usually high coverage matte foundations, although with the weather warming up and my breakouts starting to get under control, I’ve found myself searching for lighter products that give my skin the opportunity to breathe. As with my beloved Rimmel Lasting Finish Foundation (full review here) I picked up the Bourjois Paris 123 Perfect CC Cream after watching an Estee Lalonde tutorial on YouTube. I find the differences between BB and CC creams so subtle, that in all honesty, I struggle to tell them both apart. Bourjois claim that 123 Perfect is the next generation in base products as it combines the skincare action of a cream with the colour correction of a foundation. 123’s formula includes three colour correcting pigments; apricot to tackle fatigue, green to even out redness and white to brighten dark spots. The CC cream also claims to provide 24-hour hydration and contains SPF 15. The shade variations are very limited, with only four colours to choose from. Ivory is the lightest shade available but it is still a little too dark for very pale complexions. Ivory is darker than all my other base products, however, it actually adds warmth and a luminous glow to my skin rather than looking overly orange or cakey so it could still work for you. I highly recommending swatching before purchasing with this one! The oil-free formula is quite runny and sinks into the skin effortlessly giving a slightly dewy finish. It feels really hydrating and comfortable, almost like using a moisturiser rather than a foundation. The formula is a lot more buildable than my MAC Lightful C and Garnier BB creams. 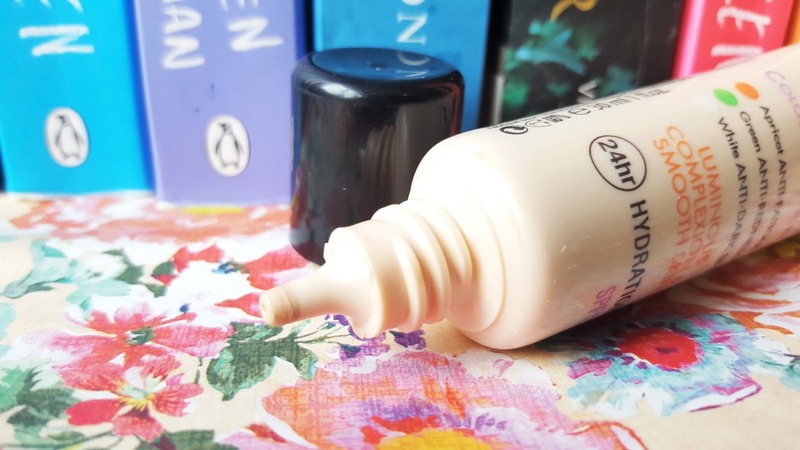 I was impressed by how well it evened out the discolouration under my nose and chin, and helped to brighten the dark areas under my eyes. It also helped to blur the enlarged pores on my cheeks and conceal small acne scars on my chin, however, it did nothing to cover a particularly angry spot on my forehead. If you are looking for a light base product that gives a healthy natural glow whilst balancing out uneven skin tone and small imperfections this could be the product for you this Summer. 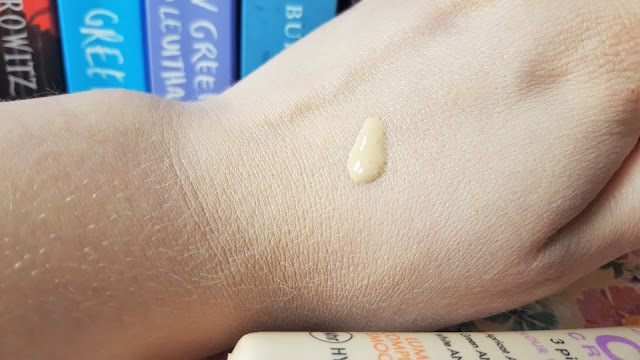 If you suffer from particularly angry breakouts I recommend going for something with a higher coverage or investing in a good quality concealer such a the NYX HD Concealer Want (full review here). 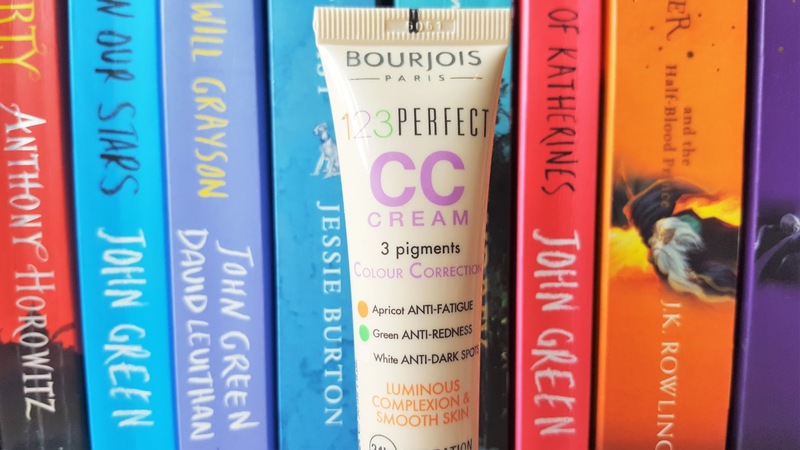 The Bourjois Paris 123 Perfect Colour Correcting Cream is available here and retails for £9.99/30ml. "Get the Festival Look this Summer with Natural Collection & Thumbelina Lillie"